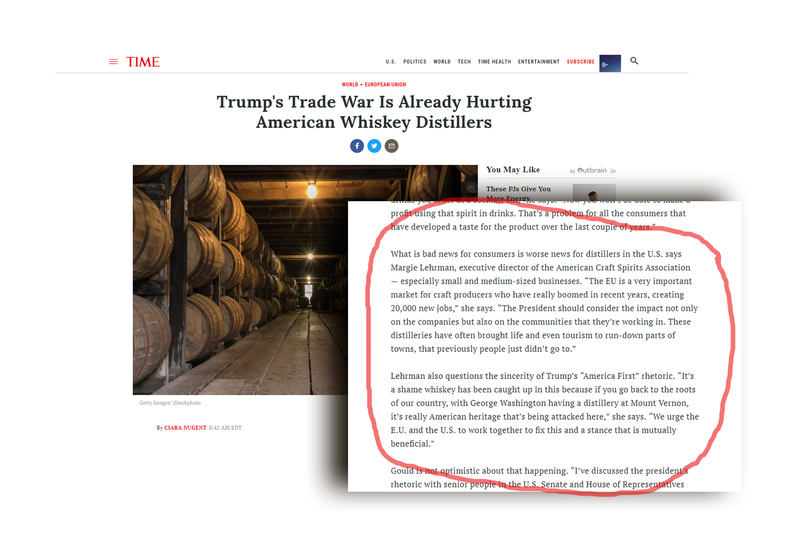 I always sort of knew my wife would end up in Time Magazine, with Donald Trump and a bottle of whiskey. The Time article about Margie Lehrman, ACSA, whiskey — and even George Washington — is here. The plaintiff in a would-be class action lawsuit against Sazerac voluntarily dismissed all his claims in late January, ending the litigation. 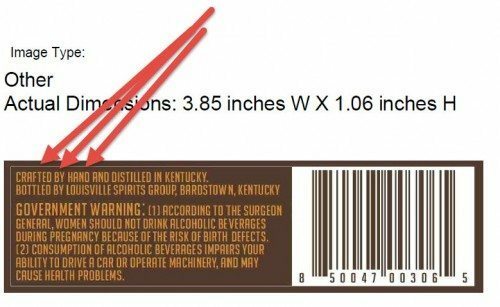 The case (Parker v. Buffalo Trace Distillery, Inc. et al.) 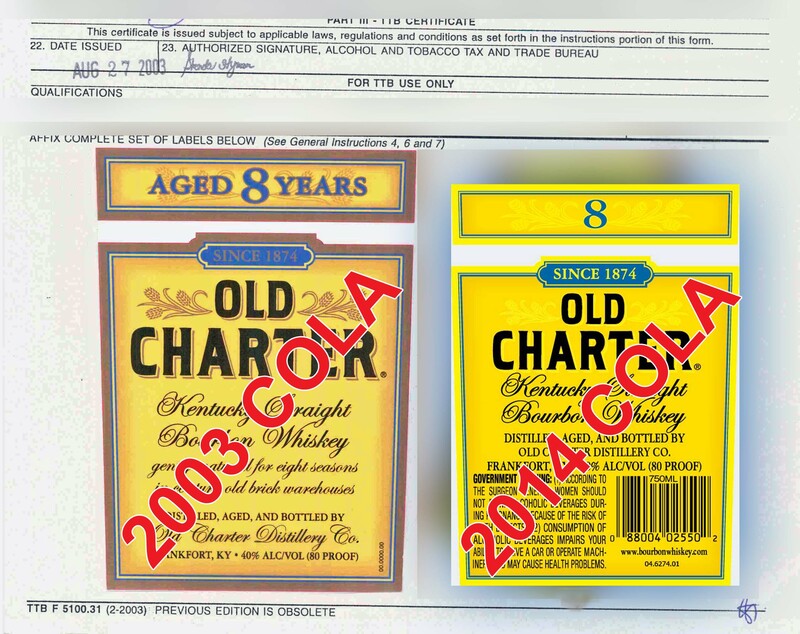 began in November of last year, and concerned a subtle change on the label of Sazerac’s “Old Charter” brand of bourbon whiskey. 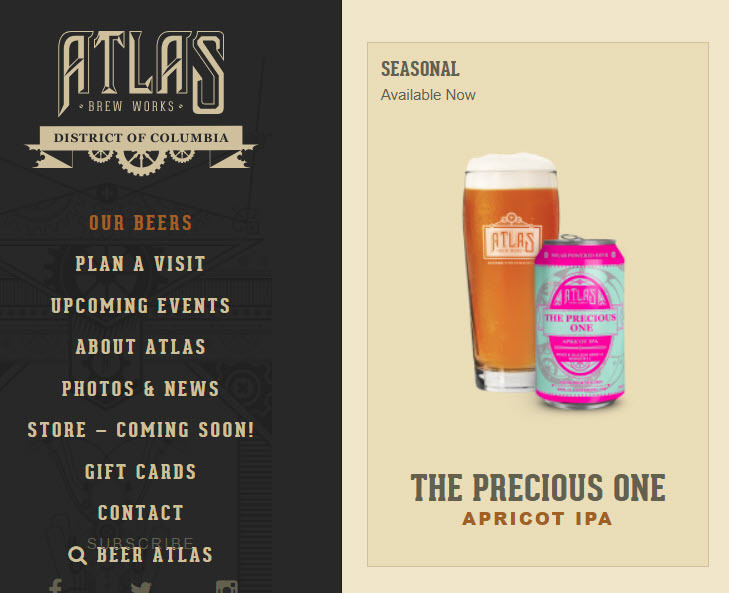 The older and newer labels are above, side by side. 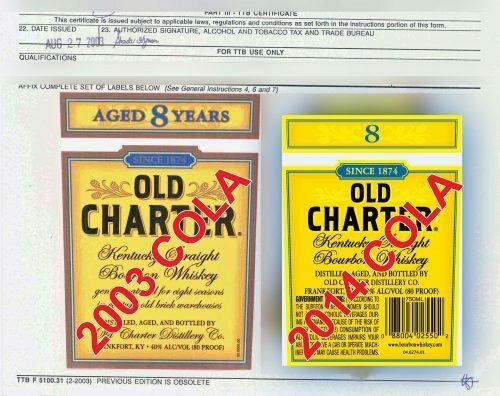 Plaintiff Nicholas Parker alleged that the Old Charter bourbon sold under the new label was no longer aged for 8 years, and that Sazerac’s continued use of the number “8” on the label caused consumers to believe that the bourbon was aged for 8 years. 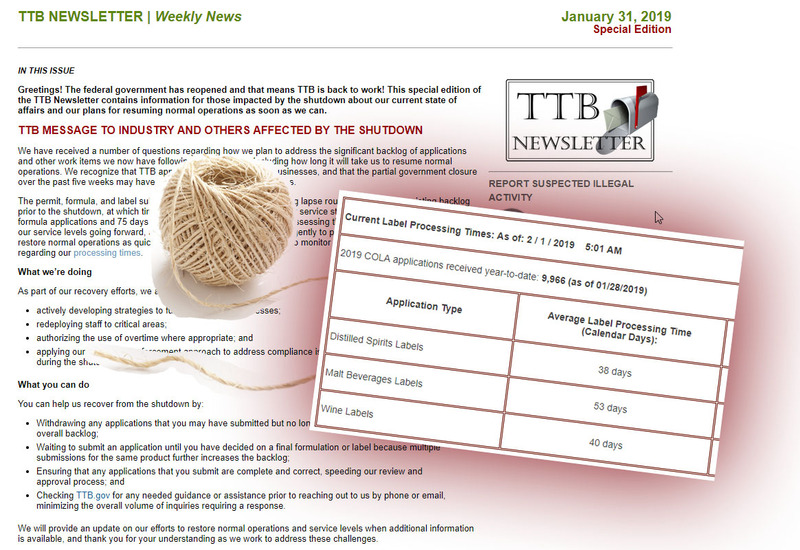 Sazerac responded with a motion to dismiss the complaint, alleging that Alcohol and Tobacco Tax and Trade Bureau (TTB) approval of the label provided Sazerac with a “safe harbor” from Mr. Parker’s claims. The whiskey rules are pretty strict when it comes to straight whiskey. It has to be aged two years or more, in oak. But for many other types of whiskey, the rules have gotten pretty lax, and it seems like it only has to be aged but a moment. Where you have a whiskey not designated as straight, it’s ok to age it let’s say one month, but the regulations require an age statement, any time the total age is less than four years. Here are a few examples of such age statements, roughly from shortest to not so short. 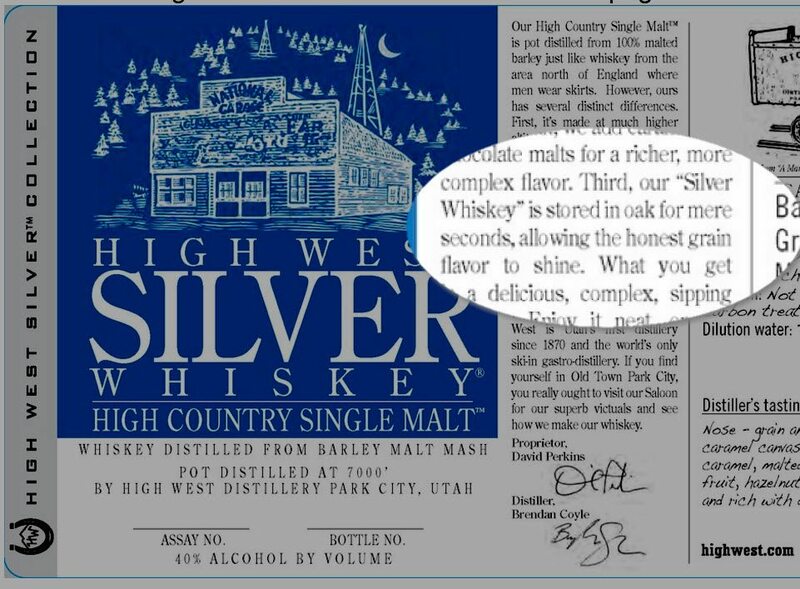 High West Silver Whiskey. 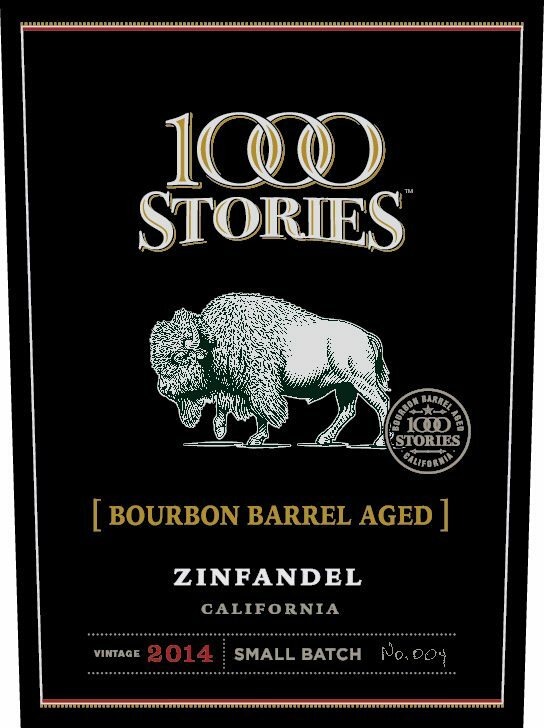 MINIMALLY AGED IN TOASTED OAK (2016). This label is also noteworthy because it is one of the very few that actually mentions TTB, and such administrivia as class/type codes, right on the front label. WHISKEY is big but the actual c/t is quite small. Old Natchez Trace Rye Whiskey. RESTED FOR ONE MINUTE IN A USED WHITE OAK BARREL. 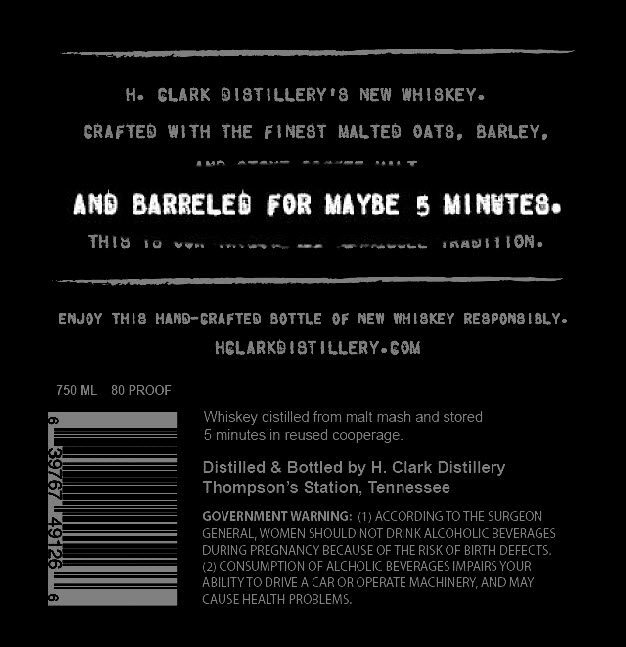 Clark New Whiskey. BARRELED FOR MAYBE 5 MINUTES; STORED 5 MINUTES IN REUSED COOPERAGE. 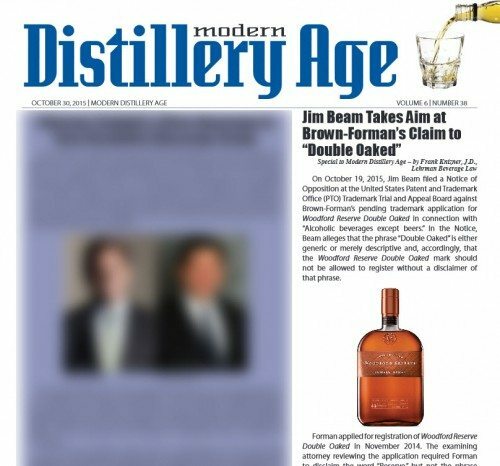 On October 19, 2015, Jim Beam filed a Notice of Opposition at the United State Patent and Trademark Office (PTO) Trademark Trial and Appeal Board against Brown-Forman’s pending trademark application for WOODFORD RESERVE DOUBLE OAKED in connection with “Alcoholic beverages except beers.” In the Notice, Beam alleges that the phrase “Double Oaked” is either generic or merely descriptive and, accordingly, that the WOODFORD RESERVE DOUBLE OAKED mark should not be allowed to register without a disclaimer of that phrase. Notice: a longer version of this article first appeared in Modern Distillery Age. The decision to allow the Angel’s Envy case to proceed past a motion to dismiss is consistent with similar decisions in the cases against Tito’s Handmade Vodka and WhistlePig Rye Whiskey, and signals that the courts are willing to consider consumer-fraud claims against spirits companies that supposedly sell unattributed mass-distilled products while holding themselves out to the market as smaller scale, craft brands. 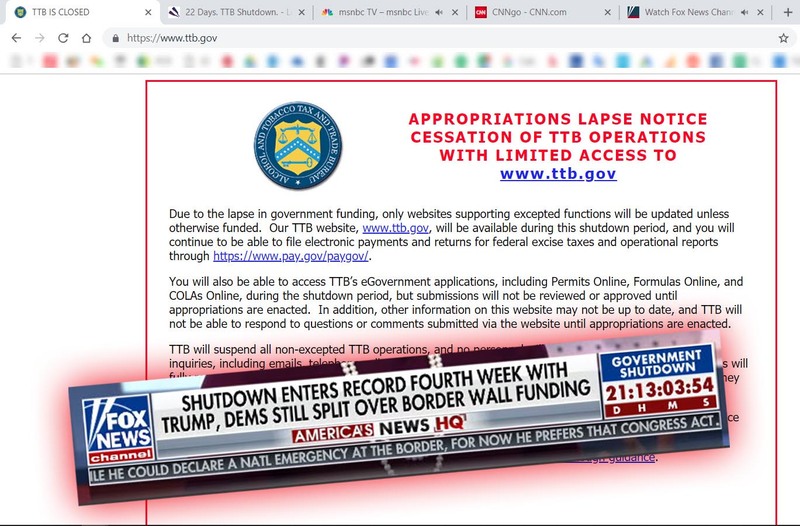 As a result of these rulings, the case will proceed into discovery, which has the potential to be lengthy and expensive. In my view, the most interesting parts of the 17 page opinion and order are as follows.